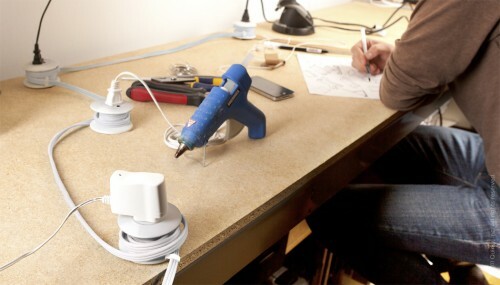 Pod Power Is A Multi-Nodal Extension Cord | OhGizmo! By David Ponce on 11/24/11 • Leave a comment! Extension cords are great but they’re too beginning-and-endy to be as useful as this project from one Kate Vallon. See, the Power Pod is a 15ft long extension cord that features 5 specially shaped sockets along its length. 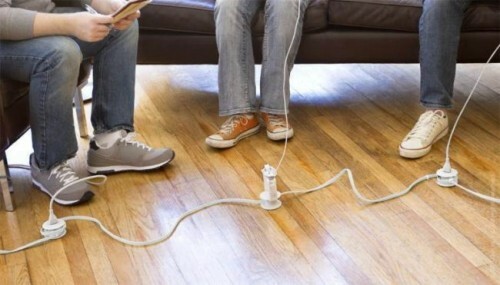 This allows you to toss it on the ground in a room and share power among several people. The shape of each node lets you wind up some of the slack to keep things a little more tidy. This could be great for study groups, for example. The cord is rated at 15 amps and features 900 Joules of surge protection. At the moment the Power Pod is in the social funding phase at Quirky, but at $35 for a pre-order, they’re almost halfway through their needed commitments. Looks like this might see the light of day.